Fad international Company has been actively operating since 1999 within the Kingdom of Saudi Arabia and across the Middle Eastern region. With two successfully operating companies under it, Think Contemporary Marketing Trade Company and E-commerce Sea, and with a third logistic company currently under acquisition, Fad International Company is now progressing into becoming a holding group. The entity’s primary sector is fashion retail, within which it offers womenswear under the registered company, Think Contemporary Marketing Trade Company. The company owns and manages two trending fashion brands, femi9 and Vivid Flair London, with 67 stores across three continents. Both brands are managed completely in-house, from design, logistics and production to distribution and retail processes. E-commerce Sea is the second company owned by Fad International Company – specialized in e-commerce services. E-commerce Sea started its operations in 2013 and was acquired by Fad International in 2017. Upon acquisition, the e-commerce platform was re-branded and re-launched in March 2018, under the new name – THELEVELe. 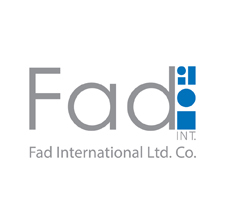 Fad International Company is run from its head office in Jeddah, Saudi Arabia, with successful operations across the GCC and Middle East – including Saudi Arabia, Bahrain, Syria and Egypt. The company has substantial expansion plans, in new markets and new business sectors. Due to its continual advancement, Fad International Company is currently transitioning into becoming a holding group under the name of Fad Holding. Fad Holding’s business portfolio is set to include three companies operating in retail, e-commerce and logistics sectors. Fad International Company was established in 1999, with the launch of its first fashion retail brand, femi9. Since its launch, femi9 has successfully expanded throughout the Middle East, with over 60 stores currently operating across the region. The brand vision is to offer sophisticated seasonal collections of the latest trendsetting styles at affordable prices. The brand offering consists of casual, occasional wear, formal and semi-formal wear especially designed to fit the lifestyle of young dynamic women. Femi9’s has a customer-centric approach in its brand development, marketing strategies and production & distribution. This factor of appealing to customer requirements has been key to the brand’s success and growth. The brand is developed with solid market research, exceptional design, unsurpassed quality, and accessible pricing. The brand’s remarkable success and sustained progress was recognized by The Saudi Fast Growth Awards, the Annual Body for ranking KSA’s fastest-growing companies. Femi9 was ranked in the top 20 companies in 2009 and 2010 for two consecutive years. Femi9’s growth has contributed to the development of Saudi Arabia’s economy and employment, by offering continued active expansion in design, production and retail sectors. The second fashion brand owned by Fad International is the eveningwear brand, Vivid Flair London. The brand was first established in 2010 from its main studio design house in London; the initial launch of Vivid Flair London’s first signature collection set market expectations for the brand’s distinctive fashion direction in the future. Vivid Flair London’s vision is to create elegant gowns for special occasions, expressing individual traits of the stylish sophisticated women wearing them. The brand takes pride in designing luxurious masterpieces, reflecting intricate details, premium cuts and rich textures. Vivid Flair London launches seasonal collections annually, offering premium gowns to fulfill shoppers’ desire for affordable luxury. The brand is quickly becoming one of the most recognized eveningwear brands in the Middle East, with 7 stores currently operating in 4 cities. Future plans include strategic expansion in main fashion capitals throughout the Middle East and Europe. Fad International Company’s most recent business venture is the THELEVELe, an online e-commerce platform. THELEVELe is set to be one of the largest online shopping malls in Saudi Arabia and the GCC. The brand’s vision offers a superior shopping experience accessible through a convenient digital platform. The website’s brand portfolio contains hundreds of products in the category of women essentials, including: clothing, beauty, fragrance, accessories, shoes and bags. THELEVELe has recently expanded into new categories, offering childrenswear, beachwear and male fragrances. On THELEVELe, the shopping service, product offering and customer service are all optimized to meet market expectations. The website is also a strategic gateway for local designers and businesses, through which they can offer their products to a wider customer base, via an organized online channel. Since its launch in March 2018, THELEVELe has performed remarkably well, with a rapidly growing consumer base and an evolving product portfolio. Future plans include continually developing in the fast-paced digital sector to achieve prime status in the e-commerce sector across the Middle East, by extending delivery destinations and building the brand’s customer base through increasing its product offering.